Discuss how polywell fusion works; share theoretical questions and answers. In their[url="http://journals.aps.org/prx/abstract/10.1103/PhysRevX.5.021024"]recent paper[/url], the EMC2 team listed the cusp confined volume as 5000 cm^3. That is crazy big. If that was shaped as a sphere, it would nearly fill the whole ring volume. This is too scale. 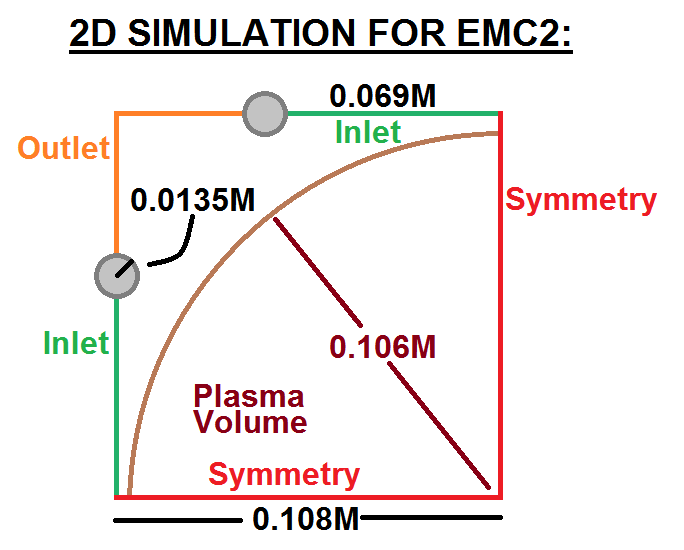 Here is my question: what is the magnetic field vector field outside this plasma volume? There is an easy way to estimate this: treat the vector field made by the B field like a flowing fluid and solve it with some free CFD software. I would start with a two dimensional simulation. 1. Doing a 2D simulation does not seem possible (or easier) in simFLOW. I switched to 3D. 2. 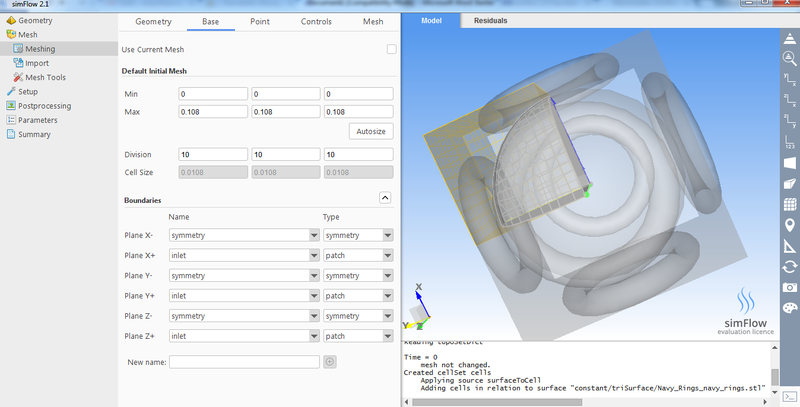 Fortunately, I can import the ring geometry into simFLOW using STL files. 3. How do I define the boundary conditions? All the X-, Y- and Z- faces are planes of symmetry. But, the positive faces need to be broken up into “inlet” and “outlet” surfaces. How do I do that? 4. 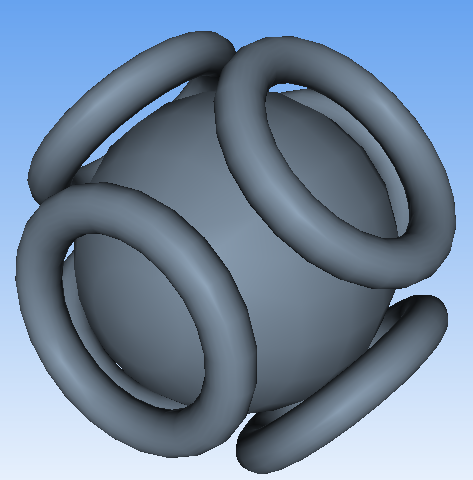 How do I mesh the space between the rings and the spherical surface only?